Did Shannon Lopez commit suicide or was she murdered? 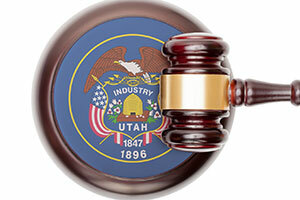 A Utah jury convicted her husband of homicide. The Utah Supreme Court reversed the conviction, in part, because the jury may have been influenced by improper expert testimony assessing Shannon as a low risk for suicide. Komasquin and Shannon Lopez were both familiar with guns. Komasquin served in the military and worked in law enforcement, while Shannon was a recreational shooter. They kept multiple guns in their home and one in their car. On the night of her death, Shannon consumed toxic levels of methamphetamine. She picked up Komasquin at work. Komasquin then began driving. Komasquin told the police that they argued about Shannon’s drug use and financial problems as they drove home. Komasquin allegedly told the police that Shannon claimed she had packed a bag and planned to take the kids to her father’s home. Komasquin testified that he was the one who threatened to leave. As they were driving, Shannon was shot in the head. Komasquin tried to turn the car around but crashed into another car. The position of her body and of a gun that the police found in the car was disputed. At various times in the months before she died, Shannon threated to kill herself. She did so in a conversation with her son and in a text message to Komasquin. One threat specifically referenced an intent to shoot herself. A medical examiner, a blood splatter analyst, and a gunshot residue analyst all testified for the prosecution. None of those expert witnesses could rule out suicide as the cause of death. Faced with inconclusive evidence of Komasquin’s guilt, the prosecution bolstered its case with the testimony of a clinical psychologist. Dr. Craig Byran specializes in the treatment of suicidal patients. He assesses suicide risk by using the Fluid Vulnerability Theory of Suicide (FVTS). The FVTS model assumes that certain factors (including genetic and demographic factors) create a baseline risk of suicide, and posits that certain triggering events create an acute risk that an individual will commit suicide, but only if that individual has an elevated baseline risk. Over a defense challenge, the court allowed Bryan to testify that Shannon’s behavior prior to her death was inconsistent with the behavior of people who commit suicide. The court did not allow Bryan to testify that his opinions were definitive or based on scientific certainty. The defense countered with expert testimony that Shannon’s death was a “classic suicide.” Komasquin appealed his conviction on the ground that Bryan’s testimony was inadmissible. Utah judges must determine whether an expert is qualified to render an opinion, whether the proposed expert testimony would be helpful to the jury, and whether the expert’s opinion is based on a reliable application of reliable principles or methods to sufficient facts or data. The reliability of principles or methods can be established by their general acceptance within a relevant scientific community or by other evidence of reliability. Apparently lacking empirical evidence that the FVTS is reliable, the prosecution attempted to prove that the FVTS has been generally accepted by psychologists as a reliable means of predicting the risk of suicide. The prosecution pointed to Bryan’s testimony that psychologists rely on the FVTS when treating patients, and that identification of risk plus treatment has been shown to reduce suicidal behaviors. That testimony did little to establish that the FVTS reliably assesses risk. Treating a population with suicide reduction therapies is likely to reduce suicidal behaviors among those who receive the treatment, but that tells us nothing about whether untreated individuals who are identified as low risk go on to commit suicide. Nor does it tell us whether an individual who has ingested toxic levels of methamphetamine might be more inclined to commit an impulsive suicide than a sober individual, regardless of other risk factors. If people who commit suicide would always have been assessed as “high risk” while people who do not commit suicide would always be assessed as “low risk,” the FVTS might be a valid tool for predicting future behavior. However, the prosecution pointed to no studies establishing that people who are assessed as low risk never commit suicide. Finally, the court noted that data used in the FVTS is gathered in clinical practice by interviewing the patient. Bryan had no opportunity to interview Shannon before she died. Nor did he explain how he could accurately assess risk factors like “mood” or “positive outlook” without interviewing Shannon. As the court pointed out in a shocking footnote, Bryan didn’t interview anyone. He based his opinion solely on information that had been carefully selected by the prosecution to support the conclusion that prosecutors wanted Bryan to reach. That methodology falls well short of basing opinions on reliable and sufficient data. Given the prosecution’s failure to prove that Bryan’s opinions were based on reliable methods, the supreme court had no difficulty concluding that the evidence was inadmissible. And given that other evidence of whether Shannon committed suicide was ambiguous, the court concluded that Bryan’s inadmissible opinions may have influenced the guilty verdict. The court therefore ordered a new trial. The court could just as easily have applied a “helpfulness” analysis to arrive at the same result. Unless people who are assessed as low risk on the FVTS never go on to commit suicide, FVTS results cannot help the jury determine whether a death was caused by suicide or murder. If some low risk people commit suicide, the FVTS is not a helpful means of separating murder from suicide as a cause of death. By their nature, risk assessment tools only tell us about relative risks within a population of people. They tell us nothing about how a single individual within that population will behave. For that reason, risk assessment tools might be useful for treatment purposes but are rarely reliable evidence of how a particular individual behaved or will behave in the future.